This morning we hit the beach with a major goal to achieve: choreograph! We joined forces, kicked up some sand and salt water, and pulled together groovy moves worthy of Justin Timberlake’s “Can’t Stop the Feeling.” All of the students we work with this week will learn this dance to perform as the show opener on Friday. 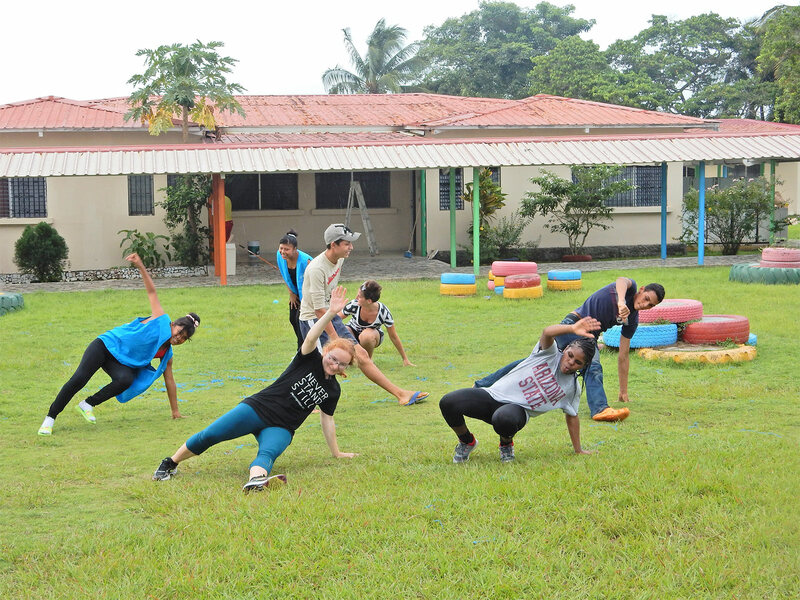 From the beach we ventured to Aldea SOS Orphanage in Colon, where every dance diplomat put his or her strengths to work. It was an energetic afternoon of teaching, learning, games, showing off, and celebrating. Our veteran diplomats were happy to reconnect with familiar children, while the newbie diplomats hit the ground running, dancing, and smiling alongside the kids. All were grateful for the openness of the children and the resourcefulness of our whole Move-Ex team. We can’t wait for more amazing times with each other and the incredible young people of Panama who we are so fortunate to connect with on this trip!